Sandro Viletta of Switzerland is the surprise winner of the super-combined after Miller and Ted Ligety have rough races. KRASNAYA POLYANA, Russia – Sandro Viletta of Switzerland stunned the favorites and won the Olympic super-combined title Friday in a spring-like race. Viletta finished in a two-run combined time of 2 minutes, 45.20 seconds. Ivica Kostelic of Croatia took the silver medal in this event for the third consecutive Olympics, 0.34 behind, and Christof Innerhofer of Italy took bronze, 0.47 behind, to add to his silver from downhill. Viletta stood only 14th after the downhill portion but he put down the second-fastest slalom run and then waited as one skier after another failed to catch him. Downhill leader Kjetil Jansrud of Norway finished fourth. The medalists were determined by adding the times together from one downhill run and one slalom leg. The temperature soared to 13 degrees Celsius (55 degrees Fahrenheit) shortly before the start of the slalom leg, turning the snow to slush. Norwegian standout Aksel Lund Svindal finished in a tie for eighth with former overall World Cup winner Carlo Janka of Switzerland. 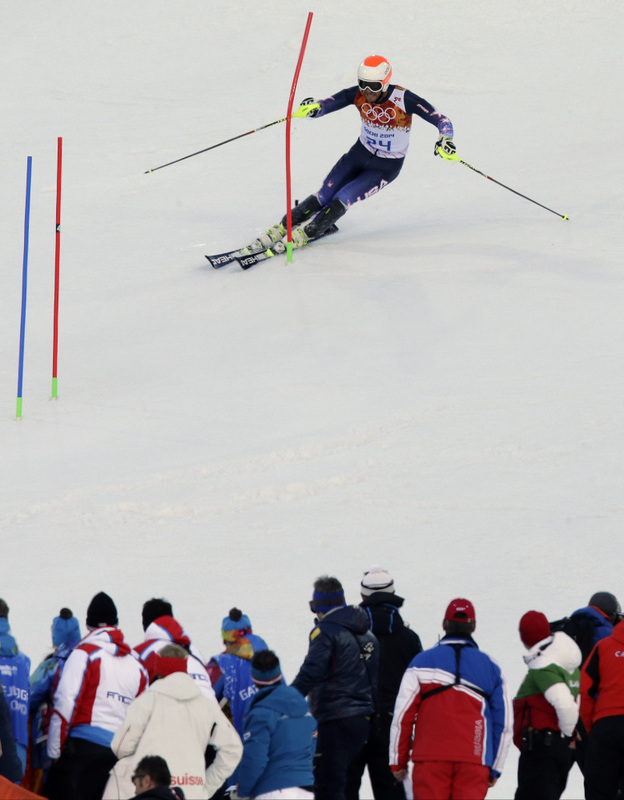 French contender Alexis Pinturault went out toward the end of his slalom leg – one of many racers who struggled with a difficult course set by Kostelic’s father, Ante. While he hadn’t gained much attention entering this race, Viletta finished fifth in the super-combi at last year’s world championships, and he was sixth in the event at the 2009 worlds.